This dental kit contains 5 essential tools to keep your oral hygiene in healthy. Adopting high quality stainless steel, which is rust-resistant and helps to minimize risk of infection. 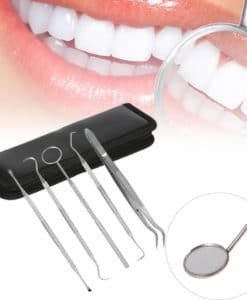 These tools are mainly for removing the tough stains, tartar, bacteria and debris from your teeth and gingiva. It can keep your teeth and gingivas healthy which prevents bad breath, gingiva disease or tooth decay. Provided a delicate case to keep these tools clean and convenient to carry while travelling. Don’t miss such a good chance. 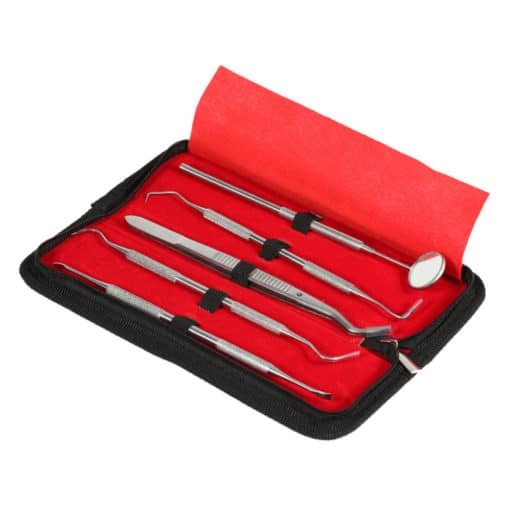 This dental kit contains 5 essential tools to keep your oral hygiene in healthy. 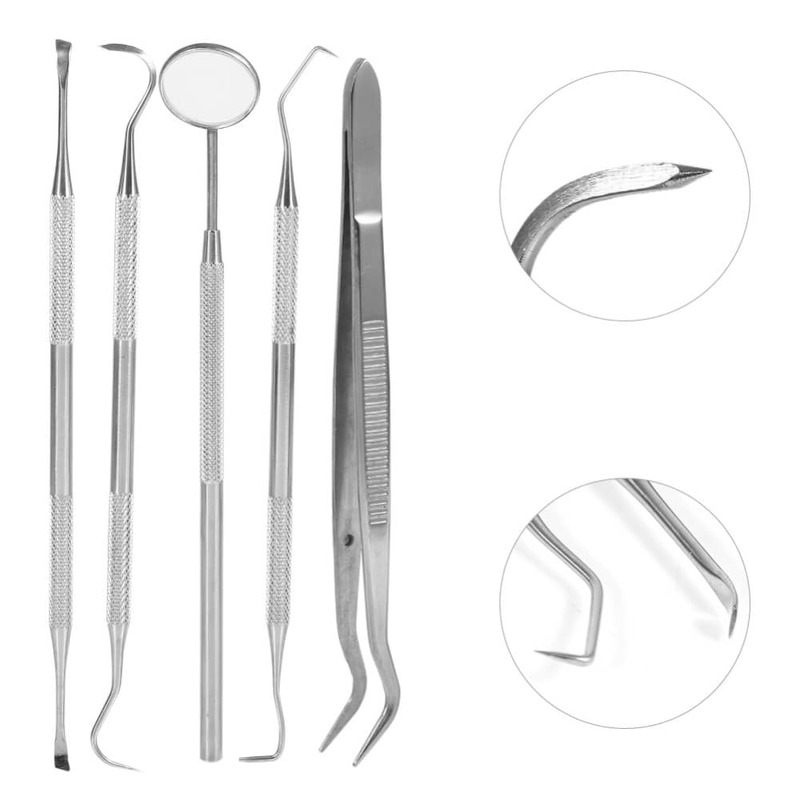 Adopting high quality stainless steel, which is rust-resistant and helps to minimize risk of infection. Mainly for removing the tough stains, tartar, bacteria and debris from your teeth and gingiva. 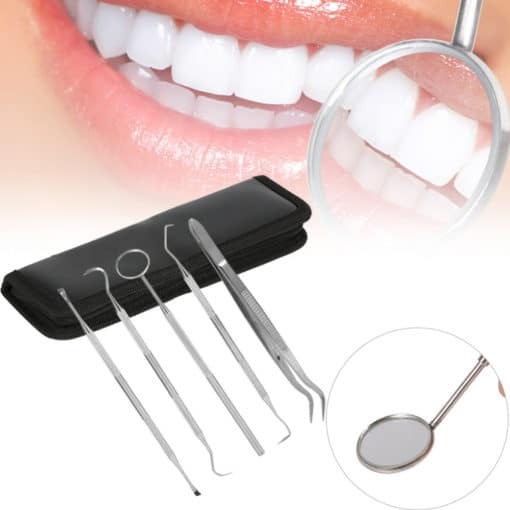 It can keep your teeth and gingivas healthy which prevents bad breath, gingiva disease or tooth decay. 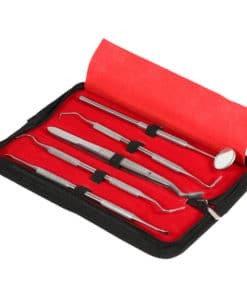 Provided a delicate case to keep these tools clean and convenient to carry while travelling. 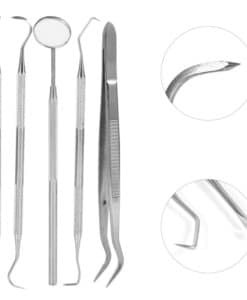 Suitable for both home use or professional dentist use.